Pat Roberts - Selling Aiken for Over 35 Years! Whether in life or business, I follow one simple rule: Treat others the way you want to be treated. As a leading real estate agent in the Aiken community since 1981, I have applied this philosophy to create satisfied clients time and time again. Not only that, but my decades of experience in the industry combined with area knowledge and stellar reputation within the community provide the tools necessary to give you the cutting edge during your next home purchase or sale. When you’re ready to make a move in Aiken or the surrounding communities, let me help you achieve your real estate goals. I invite you to click through my website, filled with multiple tools and resources for home buyers and sellers. 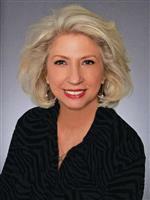 Learn more about me and my real estate services. Search for homes for sale, order informative special reports that could save you thousands. If you are relocating to the area, you’ll find a wealth of information too.